Page 31 contains many handcrafted pieces. 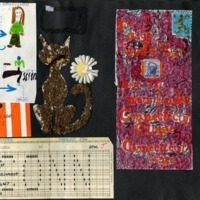 There is a cat made from a variety of pasted seeds; a drawing indicating college exam progression throughout the month of January; a name tag with Linda's name; and a colorful patterned drawing addressed to Linda at her Connecticut College box number. There is also a ticket from an event at the Connecticut College Connquest in 1966 where the well known American psychologist B.F. Skinner spoke. 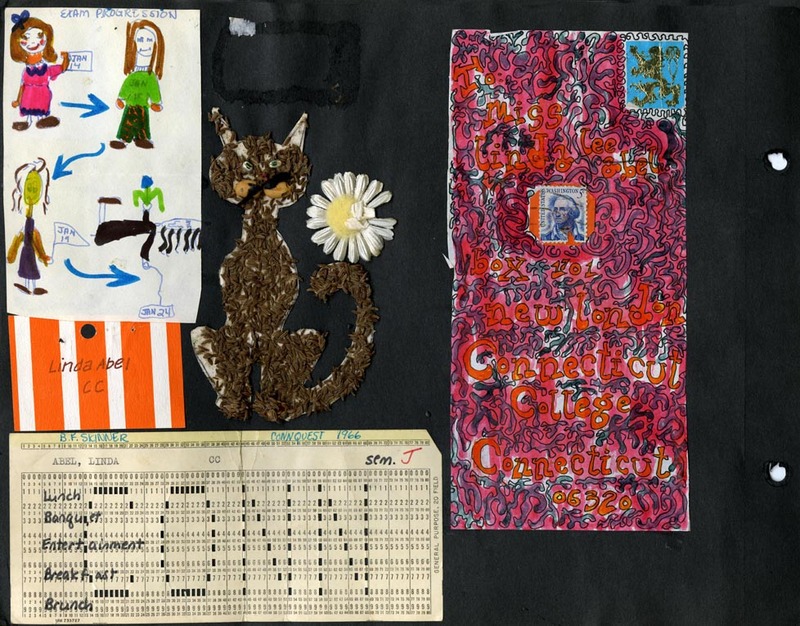 Abel, Linda Lee, “Linda Lee Abel Scrapbook Page 31,” Linda Lear Center Digital Collections and Exhibitions, accessed April 24, 2019, http://lc-digital.conncoll.edu/items/show/1148.